Thinking of getting a gift for the rail advocate in your life? 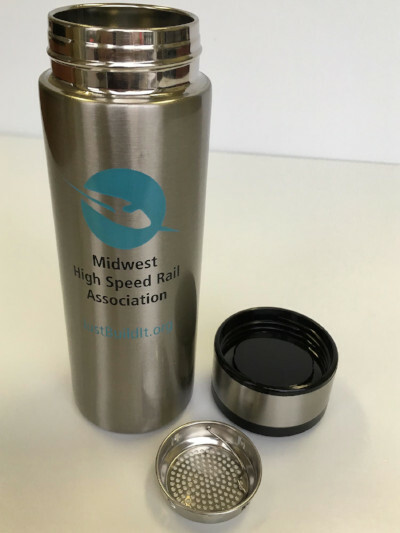 We have a stainless-steel, insulated travel mug available just in time for the holiday season. It is a great conversation starter and a way for anyone to show their support for fast, frequent and reliable trains in the Midwest. We also have plenty of posters, hats and keychains that would make great stocking stuffers.